We recently wrote about how we feel Lake Iseo (or Lago d’Iseo to give it its Italian name) is the best lake in Italy… and guess what! We still do! There are just so many great things we can say about this hidden gem of Northern Italy that we couldn’t just write about it once. If you missed our previous post you can find it here. If you’re not paying attention to Lake Iseo (e-sey-oh) then you really should start to. 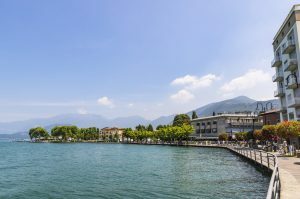 The lake’s neighbours Lake Como and Lake Garda overshadow the calmer, quieter Iseo – but, quite frankly, Lake Iseo is the best spot out of the three. Skiing at Lake Iseo is probably the best-kept secret of a best-kept secret! While your first thought of a north Italian lake might be glorious summer sun and views of the mountains in the distance (and Lake Iseo certainly has a lot of that!) there’s a distinctly colder side to Lake Iseo hidden up in the surrounding hills. Come the winter snowfall the nearby slopes become a bustling hive of activity as skiers, snowboarders and other snow sports fanatics take to the mountains. 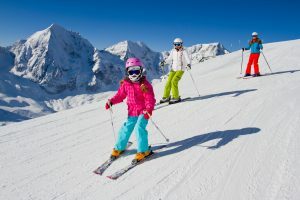 With ski resorts at Val Palot, Monte Campione and Borno are all an easy journey from anywhere on Lake Iseo, you’re never too far from some winter fun. So, to go with the local Franciacorta wine, Lake Iseo also offers some of the freshest Olive Oil in Italy – pairing perfectly with local fish and lighter foods. The mountain island of Mont’isola is a record holding island – being the largest lake island in central Europe with a total area of 12.8 square kilometres. That aside, Mont’isola and its 12 towns are considered the central tourist attraction of the area. Only accessible by ferry, the island is nearly free of cars with the majority of moving around done by bicycle or moped – with the area being circled with a series of dedicated bicycle lanes. Mont’isola is home to a great many small, traditional towns, churches and industries making it a great place to soak in traditional Italian atmosphere. 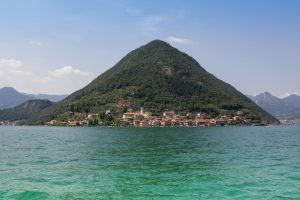 As you can see, Lake Iseo has it all and then some when it comes to great features,– which are sadly ignored by prospective property buyers who instead turn to the more well known Lakes Como and Garda. But when Lake Iseo has great food, great sports and a record holding island – all at a cheaper property price than it’s neighbours – you’d be losing out not considering Lake Iseo as the site for your next home.